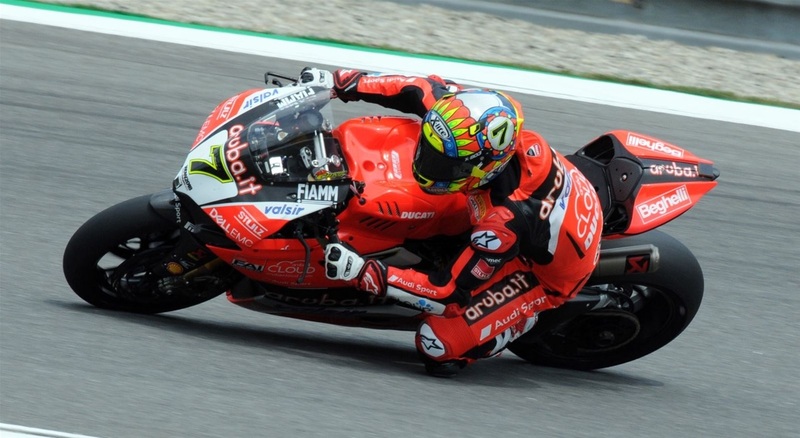 After taking a podium in its last European outing at Magny Cours (France), the Aruba.it Racing - Ducati team is ready to make its debut in Argentina for the penultimate round of the year, hosted at the newly-built Villicum circuit near San Juan. The track, located in the Northwest area of the country, was completed recently and is met with great curiosity by Chaz Davies and Marco Melandri. Both riders proved their ability to adapt quickly to new tracks, and they will try to make the most of the round to hunt for wins and podiums. Davies (335 points) and Melandri (250 points) are currently second and fifth in the championship. The Aruba.it Racing - Ducati will resume action Friday, October 12th, at 09:45 local time (CET -5) for the first free-practice session. "It feels good to head to Argentina, it's always exciting to get out of our reach and go to new tracks on the calendar, especially in a place we've never been before. The track looks quite fun to ride, but we need to spin a few laps first. Its anti-clockwise layout seems also physically ideal, given the conditions of my right shoulder, but we just have to wait and see. I tried to give the shoulder time to recover in between races while also keeping it active and well stretched. We've been learning a bit in the last couple of races and we'll try to translate it into this new challenge. I'm really looking forward to see the circuit." "This is a highly anticipated round for us. It's been a while since we last raced on a new track, and it's always fun to discover unexplored places. On paper, it's a beautiful circuit. There's a good chance we will all struggle with grip early on as the track is new, but the lap times will improve constantly. Once we get closer and closer to the limit, we'll see the level of the competition. Personally, I'm curious and highly motivated. We want to put Magny Cours behind us and get back on the podium right away."